Kurt Russell | The Reviewers Unite! Oh goody! We’re getting another Quinten Tarantino film! Who wants to bet that it’ll be a very well made throwback to films from his youth that will get half the critics to praise him unendingly and the other half to dismiss him as a stunted artist that’s gotten quite long in the tooth? Personally, I tend to fall into the former category, but I can understand the latter’s frustration with the guy’s output recently. I wouldn’t mind if he goes ahead and does something RADICALLY different from what he’s been doing so far but even if he sticks to the same old tricks, he’s still the undisputed champ of these kinds of films. So with that said, what can we gleam from the first trailer of his latest magnum opus? Let’s find out!! The trailer begins with Samuel L Jackson sitting on a pile of bodies in the middle of a snowy road as Kurt Russel’s stagecoach approaches, and I guess he joins Kurt Russel for… some reason. They’re both bounty hunters and Kurt Russell has his latest perp handcuffed to him in the form of Daisy Domergue (Jennifer Jason Leigh) who’s charged with murder and will hang once she’s delivered. From there, the plot isn’t TOO hard to guess, but the trailer makes it kind of hard to understand what is going on. 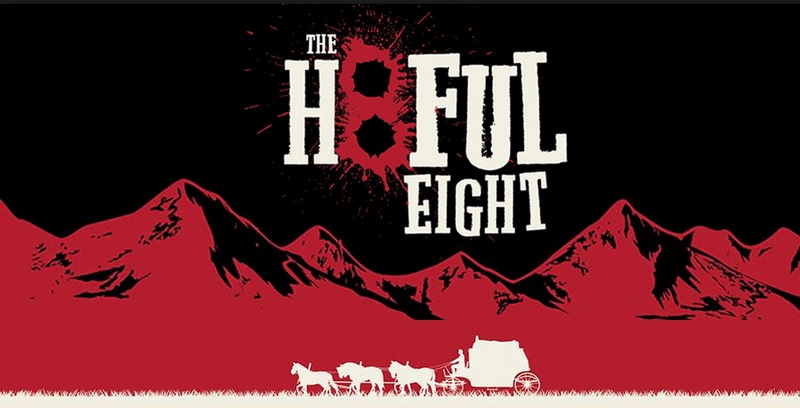 I’m assuming the hateful eight will consist of Kurt Russell (playing John ‘The Hangman’ Ruth), Samuel L Jackson (playing Major Marquis Warren), and the remaining character actors who show up in the trailer, and they’ll all be waiting out a terrible blizzard in this one building. However, Kurt Russell knows for sure that one of them is actually a traitor and is after something (most likely Daisy), so the film will be about praying on one’s paranoia with the characters constantly checking over their shoulders and looking for the rat in the midst. 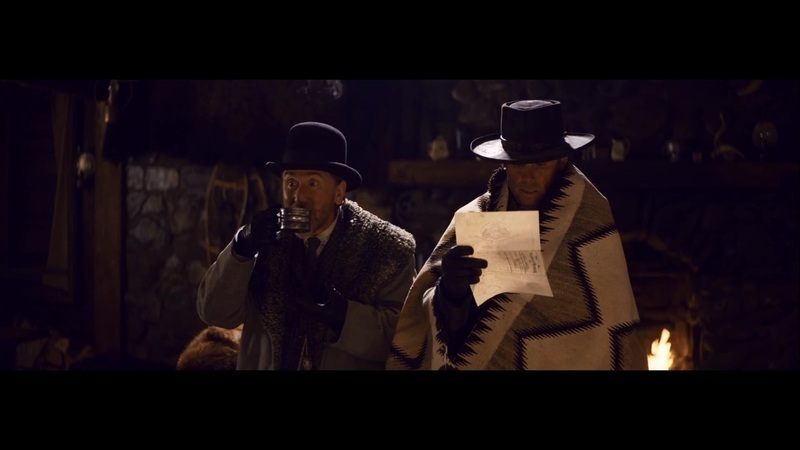 This entry was posted in Cinema Dispatch and tagged Daisy Domergue, Hateful Eight, Jennifer Jason Leigh, John 'The Hangman' Ruth, Kurt Russell, Major Marquis Warren, Michael Madsen, Quentin Tarantino, Samuel L Jackson, The Weinstein Company, Walter Goggins, Western on August 14, 2015 by Matt Vetrano.